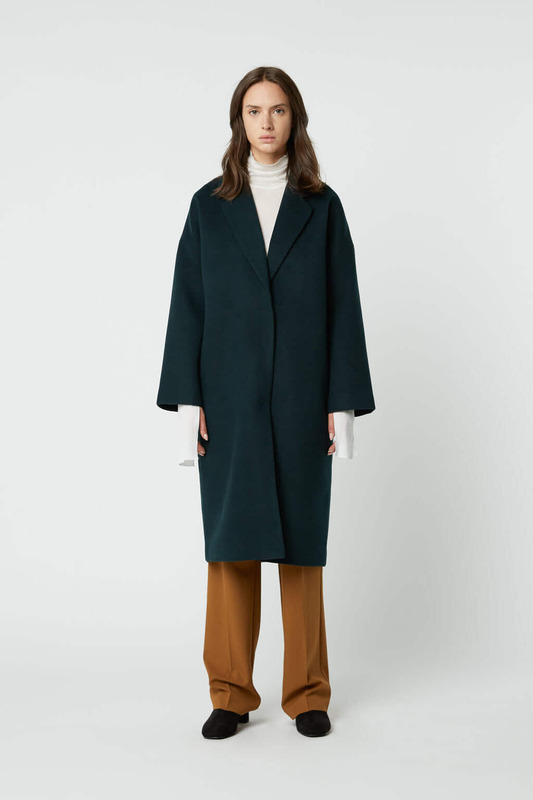 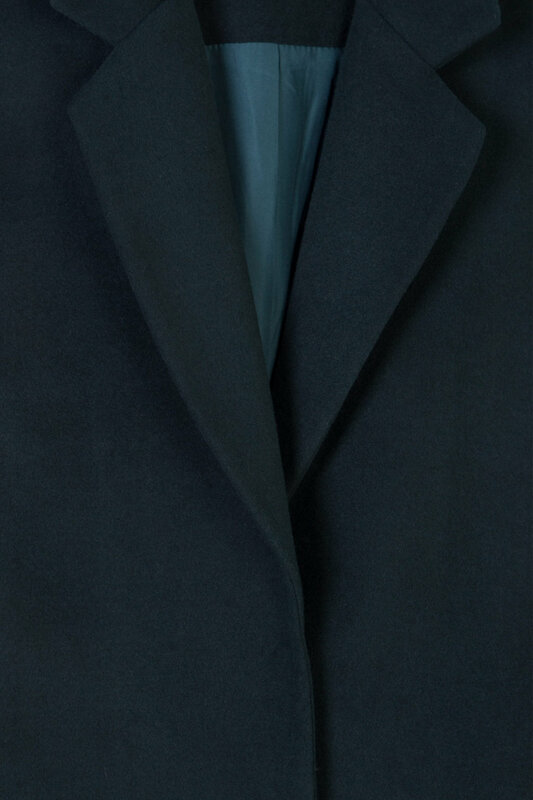 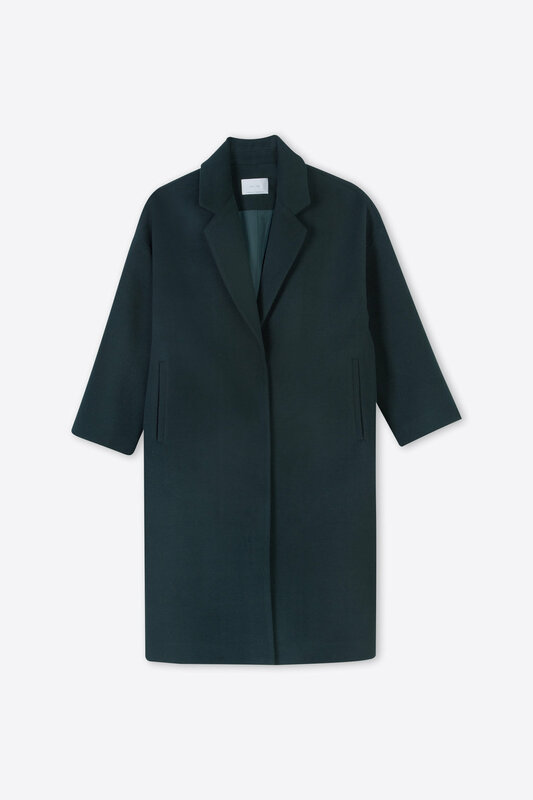 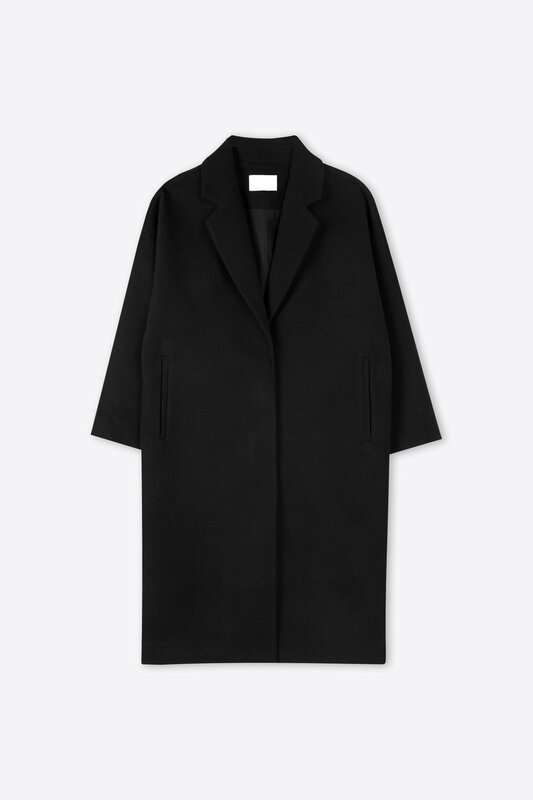 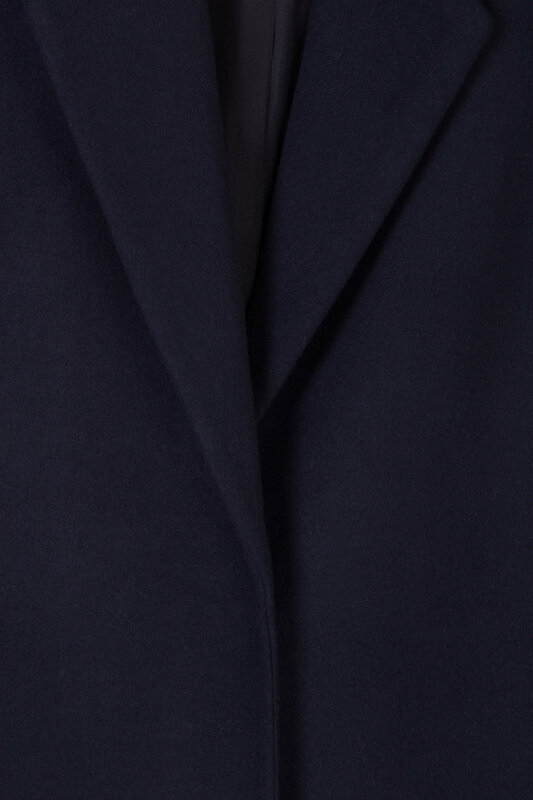 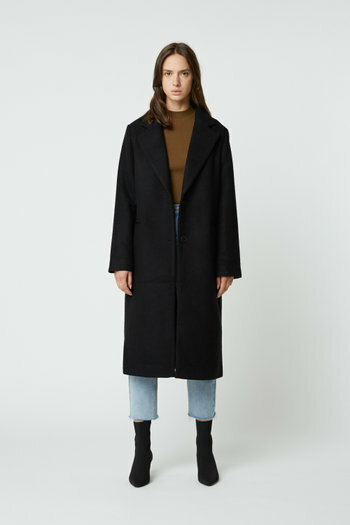 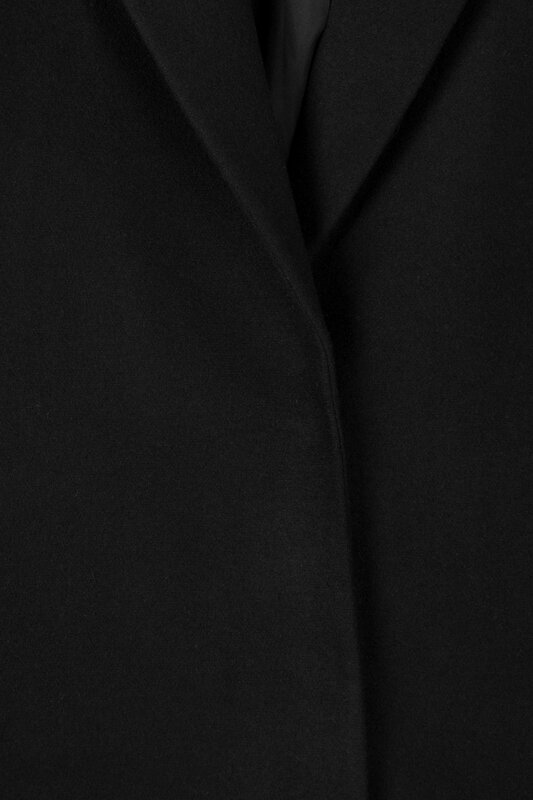 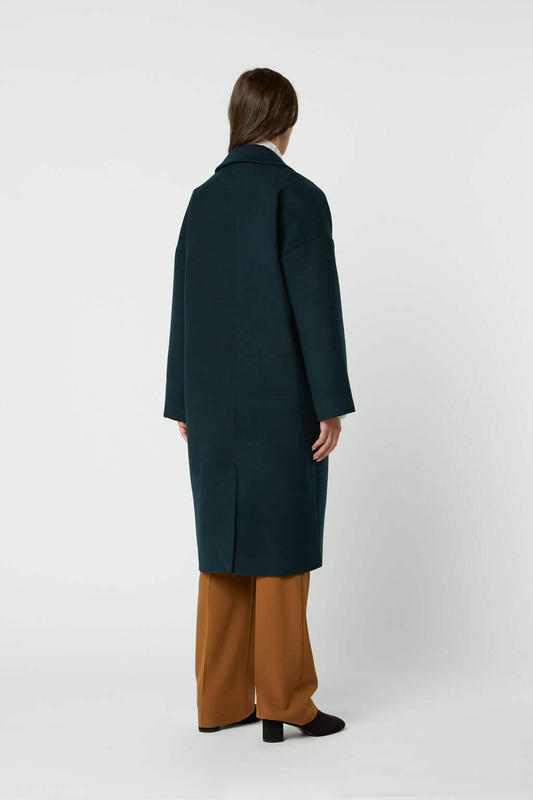 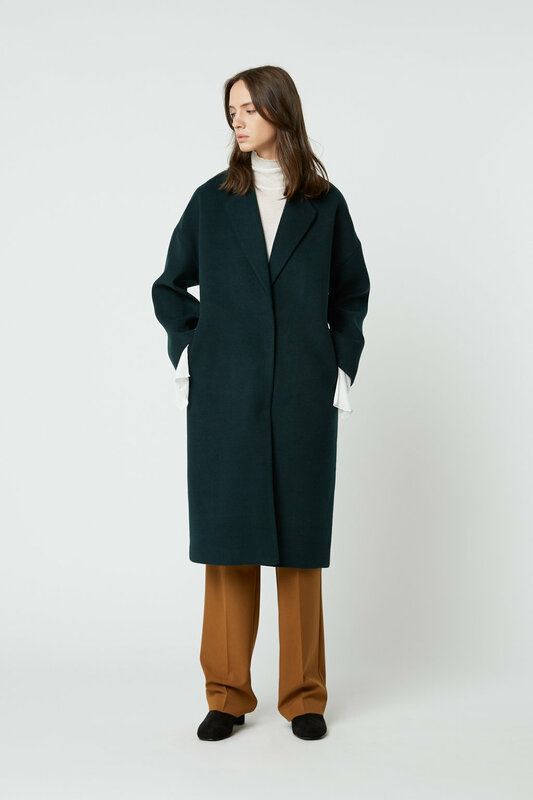 Classic and versatile, this midweight long coat features a notched lapel collar, side pockets, snap button closures and dropped shoulders to enhance the oversized fit. 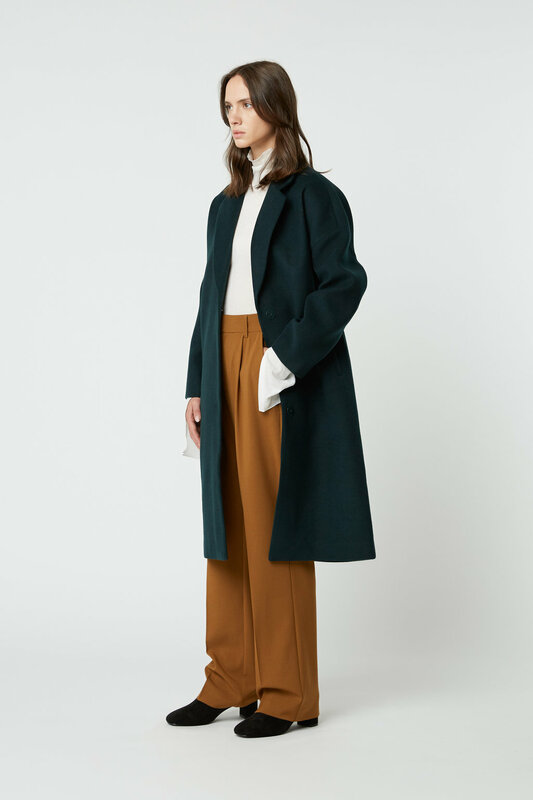 A simple style to add to your fall and winter essentials for easy layering. 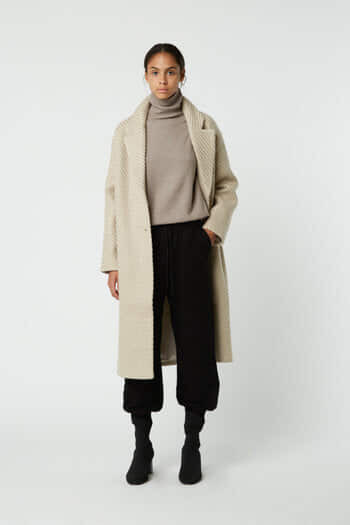 Take yours from day to night, wear yours with a knit sweater and trousers for the office or a blouse and wide-leg trousers and heels on a more elevated occasion.